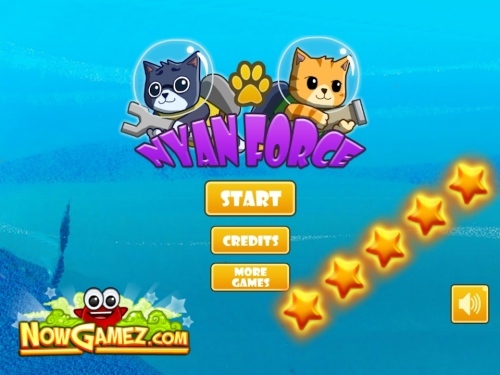 Description Nyan Force is the best diving and shooting game at the moment. You are the commander of the submarine with little kittens on board which are trying to protect the submarines by his attackers. These sea creatures are mutated into creepy sharks who will try to attack your submarines. Get the best tactic to protect your fleet. With the blubber bubble you can make more bubbles to buy extra submarines you will need. Have fun and share this game with your friends.